Jack Reacher, watch out! Abel Yeager is in the house! 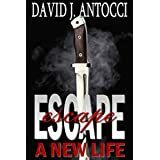 Synopsis: Abel Yeager is a former US Marine, down on his luck, who drives a truck for a living. Instead of driving for a trucking company (which actually pays pretty good), he purchases his own truck and is barely making ends meet. The story starts with us meeting Yeager just outside of Judsonia, Arkansas. Almost immediately, the action starts! He pulls into a rest stop and is followed by Humberto Cruz and his henchmen, who try and hijack Yeager’s truck. But, before the henchmen can get away with the truck, Yeager comes out of the restroom and takes on the would-be hijackers. He disables everyone near his truck, but it turns out Humberto was still in the car. Enter Charlie. Charlie is a bookstore owner on her way to St. Louis to look at remainder books. The odd thing is that her ex-husband referred her to the warehouse in St. Louis. She pulls into the Arkansas rest stop, only to find Yeager at the business end of a handgun. We find that she carries a Smith & Wesson in her purse. What a lady! She prevents Humberto from shooting Yeager and off go Humberto and his henchman. 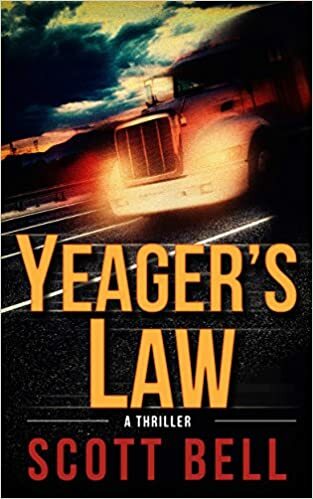 The hijackers don’t give up and follow Yeager as he drops off his load of copper and heads back to Texas with a load of remainder books bound for Charlie’s bookstore. During this trip, we find that another group (and Charlie’s ex) is after the pallets of books in Yeager’s truck. Two groups of bad guys, Charlie’s ex, one truck full of remainder books, Yeager and Charlie. That should be enough, right? Wrong.